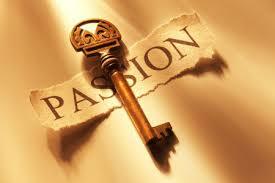 Making passion your work or bringing passion to work? Make your passion your work and you do not have to work a single day in your life. How many times have you heard this? So many inspirational messages on social media channels every day that urge you to quit your day job and make your passion your profession which they say will naturally make you so much happier. This much cliched and misplaced maxim is peddled as major career advice to every coffee-in-hand-running-to-work every morning Joe and Jane, desperately trying to keep the job and trying to ensuring that the next guy – or girl for that matter- waiting to push you down the corporate ladder does not get the pleasure of doing so. The premise is that if you are passionate about something you will be happy doing it. And if this “happy” is also your means of livelihood then you are happy as can be! So, why are work and happiness not mutually exclusive? Is it not better to do whatever you do with passion? Agreed that we spend a major portion of our adult life working. So, it will be great to be able make money out of what you really love doing. But hey, isn’t that a little overrated and unrealistic? How many people in your network do you know who have successfully converted their life’s passion into a bills-paying, putting the bread, butter and the cake too on the table profession? You can probably count them on your fingers, right? How many you know are so good at articulating every one of their experiences in words that you tell them to start writing/become an author seldom realizing it takes more than putting pen to paper when you sit down to write a story let alone getting one published. Or the insanely talented singer belting out the best numbers at every party with drunk people swooning over his/her voice and wondering how exactly (s)he missed being a hit in the music world. Well, sorry to burst the bubble, but it clearly is not everyone’s destiny to make a career out of one’s passion. Obviously, you have to do so many things you are not passionate about everyday. Take the pressure off your passion. Get real! Why not do a job just like one – a job. Of course, if you are passionate about your work you have a higher chance of succeeding at it and enjoying it. But if you are not that lucky how about doing whatever work you do with passion and dedication? At least this will not result in an avid biker beating himself up when his biking jaunts don’t pay his bills! Passion is about fun and relaxation while work has its moments but may not always be fun and is something you need to do. Having a passion is widely encouraged but it is only half the story. Often times passion is also fleeting/seasonal. Taking passion to a level where it becomes a source of income too, a good one at that, takes a considerable amount of dedication, practice and sacrifice. Young impressionable minds are egged on everyday to do what they really love, pursue their passion, and follow their dreams. There are enough stories of successful people who pursued their passion and made their millions on the way, with elan. But not as many stories about each of their hardships, hardwork and sacrifice. And mostly none of those who failed to succeed. This gives these youngsters stepping out of college, ready to take on the world, a false sense of confidence and conviction that their passion will actually work similar magic and make them a success automatically. Imagine this, someone is passionate about painting, but actually is not very good, at least not enough to be a commercial success. But the person may very well have the notion that since he is passionate about it he should easily be able to make a successful career out of it. This is a rather misplaced belief, notwithstanding Malcolm Gladwell’s 10000 hours of practice to perfection theory from his bestseller – Outliers. Especially in the realm of art or creative pursuits which require an inherent talent that can be nurtured to grow; and help you become better and excel at it; but cannot be taught if you do not have a natural flair for it. Happiness is an attitude, a habit. Why peddle this dream work-life scenario to unsuspecting adults- both young and old – at various stages of life and actually make them unhappy as they realize that their work is not really their passion. Instead, why not tell them to find happiness in what they do as work but still pursue their passion. You can do what you need to do to pay rent, bills, put food on the table and still enjoy. Enjoy your job when it is not tied to passion. Enjoy your passion when it is not tied to the pressures of work and money. The whole passion as work sentiment is great but it does need to be watered down a bit to make it realistic and ensure it does not induce guilt in Joe and Jane. Instead, bringing passion to work might be a better advise to arm them to deal with real life and stay happy.